Chic glamour from American fashion label Michael Kors. 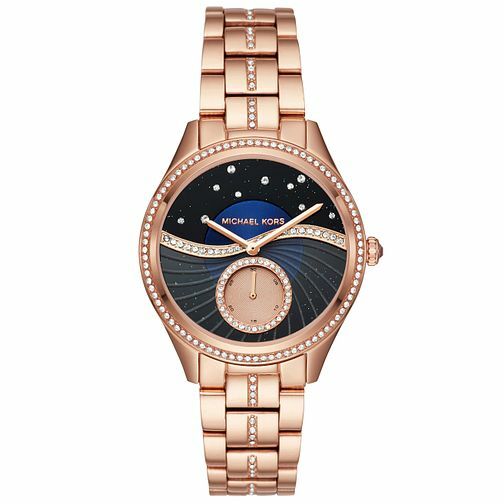 An impressive blue dial features a pavé inner dial beautifully complemented by its sparkling stone set bezel. A stylish rose gold tone, sleek three-link-bracelet with glitz detailing down the centre and sparkling crystal toping bracelet offers a contemporary edge.